This is a book I did not hesitate to buy when I found it about five years ago. 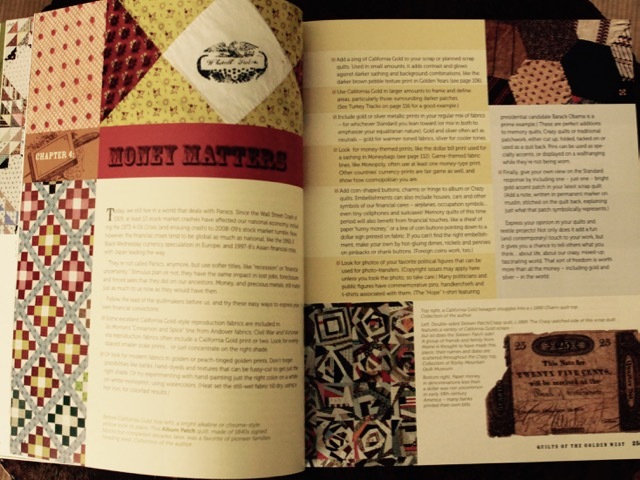 It is about the history of American pioneers in parallel with the history of quilts. This said immediately something to me. I have thus to tell you a little about my own history : as a child in the Fifties, and as many children of my generation in France, I was brought up partly in the American culture. The TV programs (only one black and white channel) were almost exclusively showing American movies and series such as Western movies with John Wayne and series like The Adventures of Rin Tin Tin with Rusty and my hero : Lt. Rip masters. 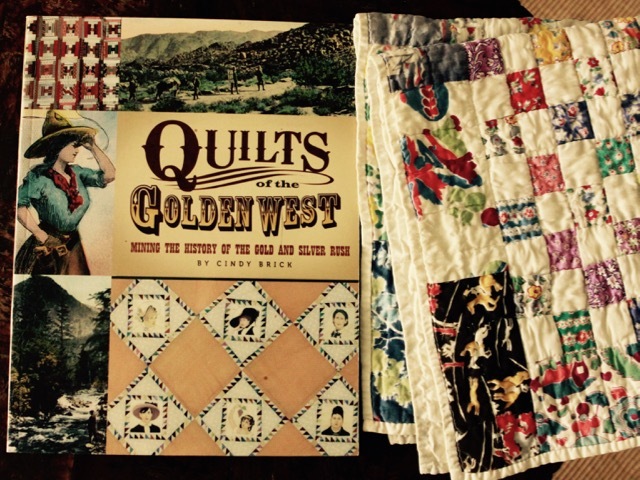 I always wondered if my admiration for America and attraction to quilts do not find its roots in this period of my childhood. In 1964 we got a second channel and more American series, which I was extremely fond of! 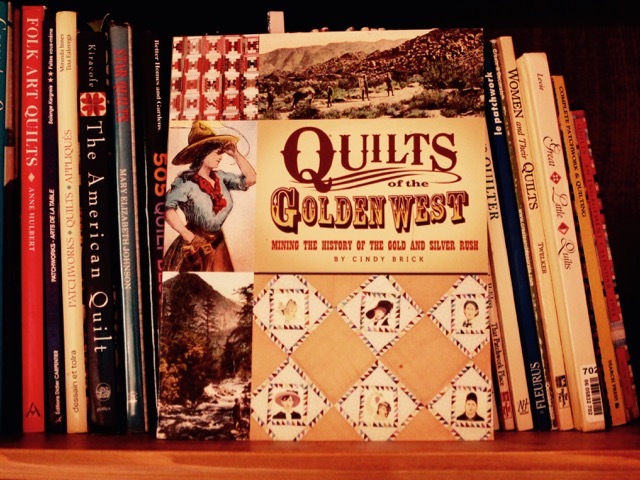 Somewhere I must have unconsciously recorded in those programs the presence of quilts... or I have been American in a previous life!! Back to this wonderful book : not only it teaches a lot about the history, but it gives as well many very good tips and instructions. 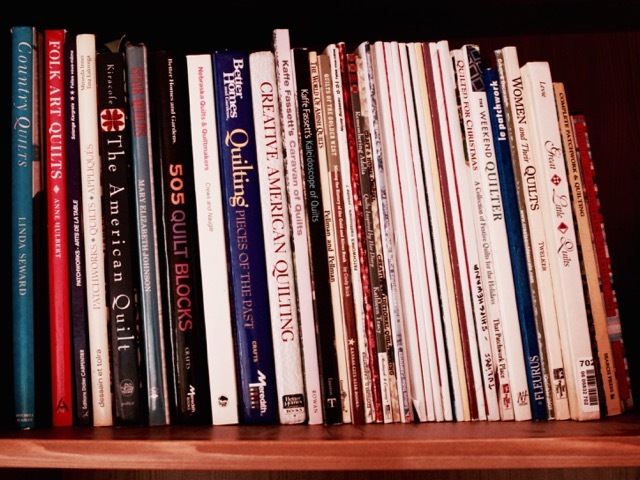 So funny to see that your bookshelve could be mine and I could have written this blogpost! Je comprends aussi pourquoi tu as acheté ce livre ! Bises et bonne fin d'après-midi ! This looks like a great book. I haven't seen it before. 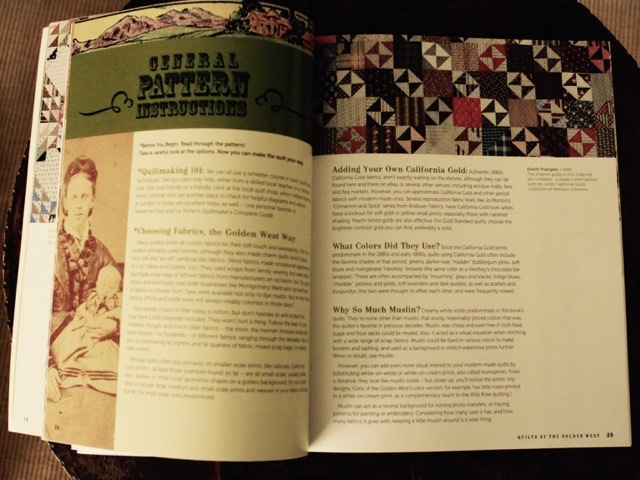 I especially like the quilt on page 29, also the crazy quilt on page 23. Thank you for sharing it. You and I were living parallel lives across the Atlantic with the TV shows of the day! That looks like a lovely book, one I would like to have. Might search the internet and order one whenever the banks in Greece will open again !!!! 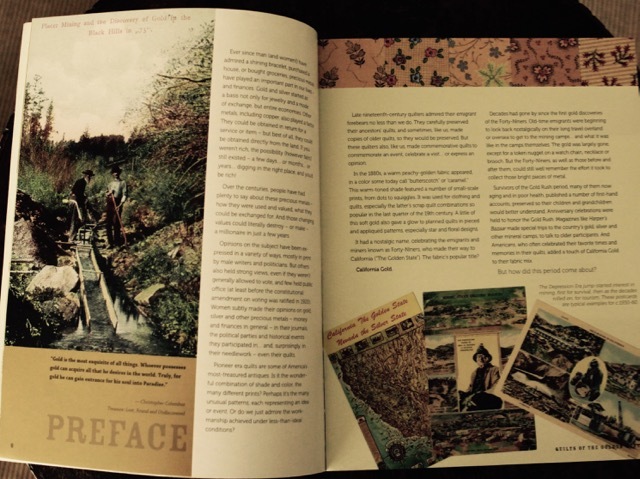 Looks like a wonderful book, I can see some others on your shelf as well some I have in my own collection. Ce livre -et quelques autres- nous plonge à la fois dans les quilts et le monde des westerns... qui me fascinait aussi enfant ! Exactement comme tu le dis, nous avons été nourris de culture américaine via les films et la musique... Pour les enfants des années 70, "La Petite Maison dans la Prairie" a pris le relais ! 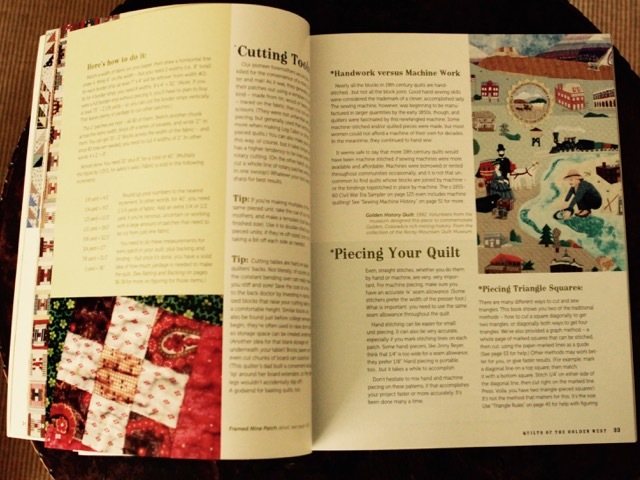 I've always loved the 'make do and mend' mentality of the American West. I could spend a very happy afternoon with this book.